On January 18, 2012, the Internet went dark. Hundreds of websites went black in protest of the Stop Online Piracy Act (SOPA) and the PROTECT IP Act (PIPA). The bills would have created a “blacklist” of censored websites based on accusations of copyright infringement. SOPA was en route to quietly passing. But when millions of Americans complained to their members of Congress, support for the bill quickly vanished. We called it the Internet at its best. As we approach the fifth anniversary of the blackout, we also note a much sadder anniversary. A year after we beat SOPA, we lost one of the most active organizers behind the opposition. While being unfairly prosecuted under the Computer Fraud and Abuse Act, Aaron Swartz took his own life on January 11, 2013. When you look around the digital rights community, it’s easy to find Aaron’s fingerprints all over it. He and his organization Demand Progress worked closely with EFF to stop SOPA. Long before that, he played key roles in the development of RSS, RDF, and Creative Commons. He railed hard against the idea of government-funded scientific research being unavailable to the public, and his passion continues to motivate the open access community. Aaron inspired Lawrence Lessig to fight corruption in politics, eventually fueling Lessig’s White House run. There’s no better way to remember Aaron’s life and work than by hearing his words. 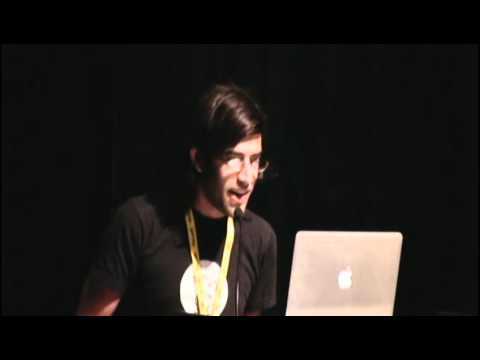 And there’s no more inspiring account of the fight over SOPA than Aaron’s famous talk, “How We Stopped SOPA” (transcript). Sure, it will have yet another name, and maybe a different excuse, and probably do its damage in a different way. But make no mistake: The enemies of the freedom to connect have not disappeared. The fire in those politicians’ eyes hasn’t been put out. There are a lot of people, a lot of powerful people, who want to clamp down on the Internet. And to be honest, there aren’t a whole lot who have a vested interest in protecting it from all of that. Even some of the biggest companies, some of the biggest Internet companies, to put it frankly, would benefit from a world in which their little competitors could get censored. Five years later, it’s clear that Aaron was right. In the courts, record labels are pushing for an interpretation of copyright law that would enable them to block entire websites because of their users’ activities, or force ISPs to cut off users’ Internet connections based on mere accusations of copyright infringement. Big content companies even wrote a memo to President-elect Trump calling for a new law that would require website owners to use copyright bots to censor their users’ activity. Threats to free speech online are on the horizon—and they’re going to come hitched to copyright law. I’ve told this as a personal story, partly because I think big stories like this one are just more interesting at human scale. The director J.D. Walsh says good stories should be like the poster for Transformers. There’s a huge evil robot on the left side of the poster and a huge, big army on the right side of the poster. And in the middle, at the bottom, there’s just a small family trapped in the middle. Big stories need human stakes. But mostly, it’s a personal story, because I didn’t have time to research any of the other part of it. But that’s kind of the point. We won this fight because everyone made themselves the hero of their own story. Everyone took it as their job to save this crucial freedom. They threw themselves into it. They did whatever they could think of to do. As a president comes to power who’s promised to ratchet up surveillance and censorship, we need heroes more than ever. Whether it’s by calling your members of Congress to speak up for a free and open Internet, urging your company to protect its users’ data from government surveillance, or by joining the Electronic Frontier Alliance to defend digital freedom locally and nationally, you can be the hero in the story of how we stopped the next big threat to your digital rights.